It's not crisis communications heresy to say the best response is stopping a crisis from happening in the first place. Just as sure as the swallows return to Capistrano every year, another Super Bowl advertiser finds itself in the hot seat. 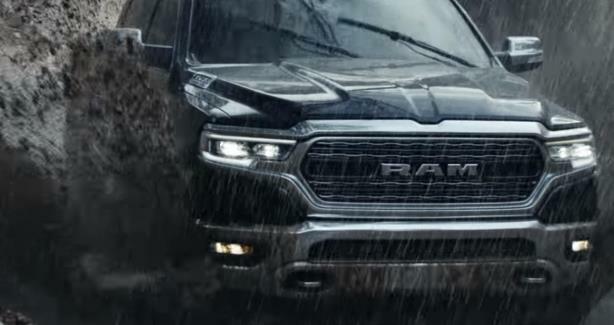 In this case, it is Dodge for its Ram truck ad invoking the voice and words of Rev. Martin Luther King Jr. Suffice it to say, it is always a risk to use the words of a global civil rights icon in a commercial venture. But for a car company to excerpt from a speech where King also criticizes car advertising? That’s trouble--and it was entirely avoidable. Almost all crises could have been prevented, or at least the impact largely minimized, if some basic advance work had been done. I’ll focus on the second truth for the purpose of this discussion: and how Dodge was unable to dodge a problem that was so obvious is a case in point. While consulting firms make lots of money drafting crisis plans and staffing war rooms once the crisis hits, why aren’t we leading the discussion around how to prevent the crisis? Ask a business executive for the definition of "risk management" and he or she will tell you it is the practice of identifying potential risks in advance, analyzing them, and taking precautionary steps to eliminate or reduce the risk. Unfortunately, if you ask a PR person for the same definition, you are just as likely to hear, "it is crisis management." Any large organization, and certainly all publicly traded companies, practice risk management as a central function of how they run their business: whether it be business continuity, operations, finance, insurance, governance, health, safety, and environment, etc. But how many companies practice "reputation risk management?--looking at the reputation risk associated with a particular issue or strategy. Too few. And that is nuts. One reason is that in too many corporate cultures, "brand management" takes a front seat to "reputation management." The PR team is the group to call once a crisis develops. But PR chiefs need to bring to the C-suite both the rationale and the model for effective reputation risk management. The rationale is easy: If a problem can be prevented, why not prevent it? And the model is largely a function of partnering with all of the other risk management functions within a company and using diagnostics tools to help them to understand the reputation perspective of any given action, strategy, or risk. How many times have we seen consumer product companies recall ads or social media posts that missed the target, in the process causing insult and outrage? In the brave new interconnected world, everything moves fast and wide. Social media posts and advertising are created for a particular audience--largely, consumers--but often without regard for the potential reaction from other audience, such as the business press, investors, regulators, NGOs, et. Too often we see examples of ill-conceived ideas that hit the street before someone can look at them through another prism and consider possible downsides or risks. And the outcome? The company has egg on its face and must pull the ad or the post and apologize, saying it "missed the mark." But the damage is done, and consumers’ memory is long. So my advice to corporate reputation managers is to follow the logic of the Renaissance philosopher Erasmus: prevention is better than cure. Or, as Bill Belichick would say, "Do your job." Chris Gidez is of-counsel at Kith.